Ok, even though you will not see a recipe for a margarita in this post (sorry to disappoint if that’s what you looking for), I had to ask the question because I was in the mood for one and that’s what inspired me to decorate my table in a fiesta theme. My husband and I enjoy hosting dinners for our family and friends and I’m notorious for using dinner themes. Everything from the food, to the drinks, to the decor will coordinate to match a theme. For this fiesta tablescape, I started with a simple white table cloth that I inherited from my grandmother. I used white and threw it loosely on top of the table because I wanted the colors in the table setting to pop and be the focal point of the look. 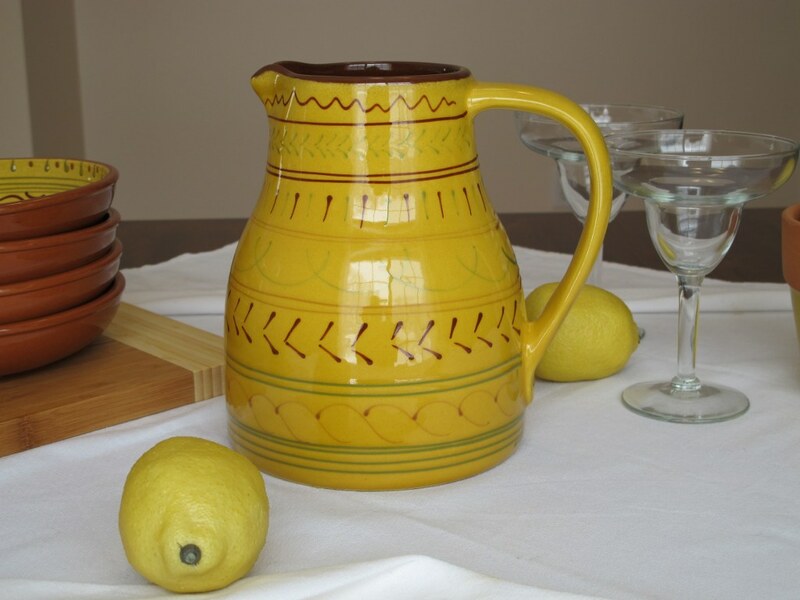 The colors in the ceramic pitcher and bowls are bold and bright and remind me of a fiesta. You don’t have to use matching pieces so feel free to mix and match using what you have. 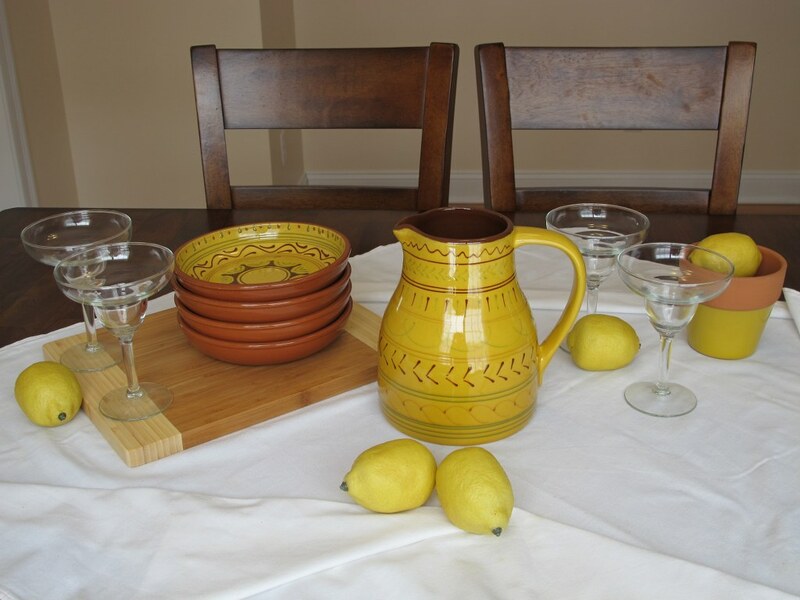 For example do you have a yellow pitcher and wood bowls or a glass pitcher and red plates? If yes, then go for it! Those looks would also be amazing and exhibit that fiesta theme. In fact, I constantly try to mix and match what I already have so that I don’t have to spend money. To avoid having a flat look to any tablescape, vary the object heights and use multiple textures. 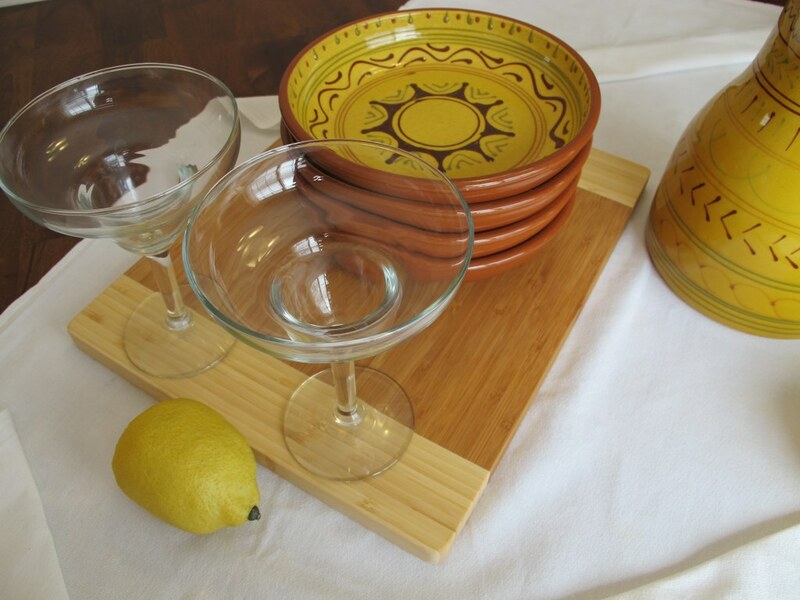 I sat the bowls and glasses on a wood cutting board to add new texture and height. 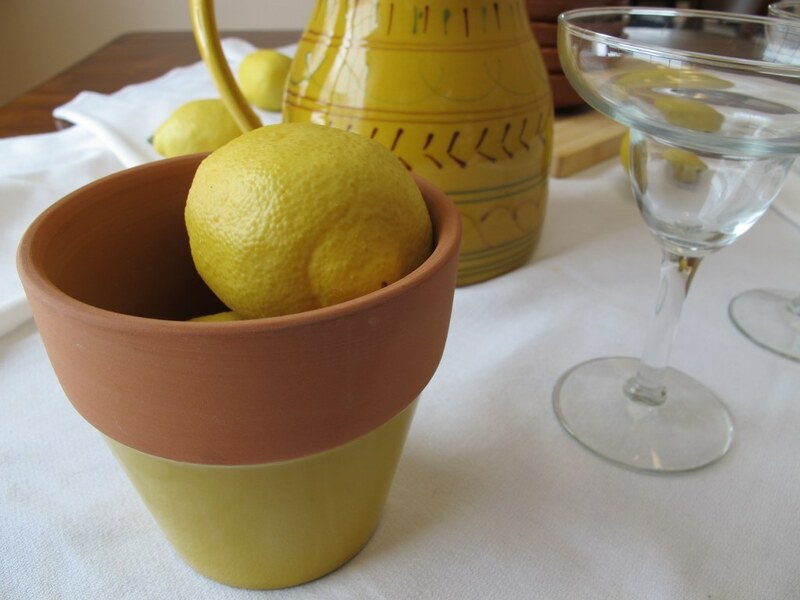 The container for the lemons is a flower pot! Use your imagination and look around your house for anything that you can use as a container. You may be surprised to see that you have more decor than you realize if you think outside the box. Using simple materials and textures can create a casual look. Plus, I think when you use the table setting as part of your tablescape that also produces a casual look and atmosphere. Your guests are free to help themselves to drinks and whatever goodies you have out which is great for you because as a host you will most likely be busy entertaining or preparing food. I turn to Pottery Barn as a great source for ideas.